Being ruled by Jupiter, the Sagittarius full moon always comes bearing gifts. To understand Sagittarius you must look to the rainbow, a cloak of many colors. 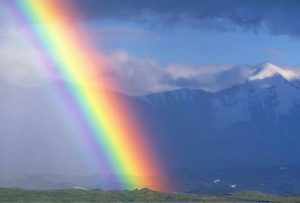 Since ancient times the rainbow has symbolized our relationship with the divine. Although Sagittarius is a fire sign, his emblem is formed by Light shining through water. The iridescent colors of the rainbow are how the archer releases his fire. 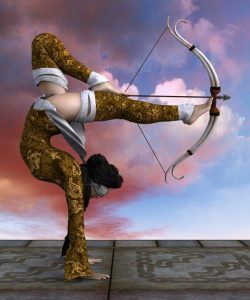 With a grand water trine between Jupiter, Neptune, and Venus, the fiery archer must find strength. So, how does Sag find happiness in a water world? 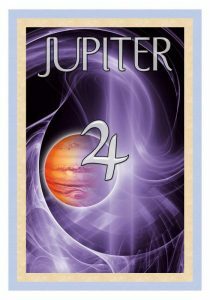 Jupiter, the ruling planet of Sagittarius is in Scorpio and busily engaged with Neptune in Pisces. Venus in Cancer seals the deal by completing a grand water trine, exact on Friday and Saturday, June 1st and 2nd. But, we must find his fire sign allies and a most interesting friend appears – Chiron in Aries! Chiron feeds (and is fed by) this Sagittarius full moon. In Aries, Chiron heals your ‘I AM’ presence; he makes it personal and yes, all about YOU. Plus, the north node, although not a planet, holds court in Leo, exactly trine the Sag moon degree. The north node illuminates your navigational path to soul growth and it powerfully shines a Light on your Life Purpose. Standing in harmony with the full moon, the north node illuminates your most sacred act. The north node urges you to discover the reason you were born on the earth at this time. Another hidden player assisting the fiery Sag moon is the asteroid Juno in Aries. Juno wears the goddess crown, and she speaks to your commitment. 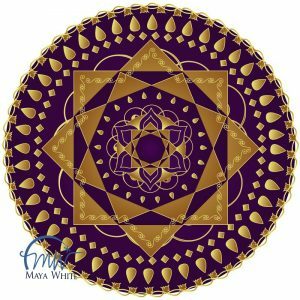 The goddess asks: can you move beyond your past hurts and betrayals? Like the rainbow, Juno teaches you to transform your shadow into a shimmering robe. May this Sagittarius full moon release all gifts – those which you have to give, and the ones you are to receive. This is a full and dynamic week with two unique planetary oppositions. The opposition is an aspect that calls for and teaches awareness. Think of it as entering a store that holds the exact thing that you’ve been wanting so badly. Maybe it’s candy, or a car, or a certain kind of relationship. But, first you must cross a dangerous looking moat that makes the object of your desire appear even further away, although you are so close. But, you still have to figure out how bridge that last gap. That is the astrological opposition; you’re so near, but not there yet. This week on Wednesday, May 23rd Mercury opposes Jupiter, and on Saturday, Venus opposes Saturn. I’ll break it down. Mercury opposing Jupiter is the ultimate awareness aspect. Mercury the messenger gives a name to your desires. 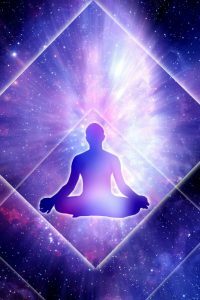 He identifies and then speaks the words of what you want – this is helpful because you must always get focused in order to really manifest something specific. And, Jupiter grants your wishes! So, Jupiter and Mercury are a good combination to get what you want; but you must bridge the gap. The opposition requires a strategy, and it often helps to think outside the box. Maybe it’s time to revisit an old situation but with new expectations and boundaries. Venus opposing Saturn on Saturday, May 26th is a similar message but with a different flavor. Venus and Saturn are all about commitment. You’ve made your wishes known; now Venus and Saturn ask if you’re willing to commit to the task at hand. Venus opposing Saturn can make you lose heart unless you apply your wisdom and knowledge. You may want to flee, to run away and hide rather than actually cross the dangerous moat that keeps you from what you want. But again, you must figure out a way to bridge the gap. What you need is a good boat and ferryman; someone to help take you where you want and need to go. Tuesday, May 15th delivers the Taurus New Moon, and is one of the most impactful days of this year. 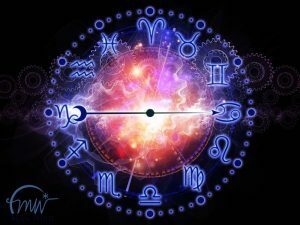 Astrology predictions reveal that there are two major events are on the cosmic agenda – the Taurus New Moon, and Uranus enters Taurus. Uranus changes signs about every 7 years, so this is a big shift, and it’s helpful to think about what Taurus values to better understand the change. First of all, Taurus values tangible goods – things you can touch and hold. And, Uranus brings expansion and even sudden growth. Look to tangibles such as gold and land for investments. 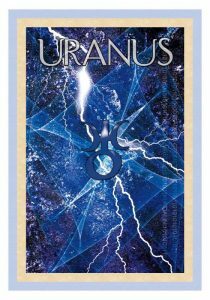 And, to maximize the gain of Uranus in Taurus, you want to get your practical matters organized. Go with what you know rather than what you think might happen. And, focus on taking things at face value; when you focus on the truth at hand, things become easier. The high lesson of Earth is to move beyond materialism and into value; to be fruitful with enough to share. Taurus favors manifestation and abundance; but, as a fixed earth sign, Taurus can also be stubborn and short sighted. There is an undercurrent of aggression right now because the warrior planet Mars squares Uranus, exact on Wednesday. Mars square Uranus can be dangerous and volatile, so, this week, take care to be mindful and kind. Do not let Mars win the battle for your will by inviting chaos into your own life. 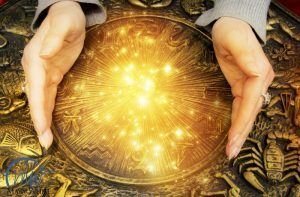 Apply the wisdom of astrology and make this a powerful time to shape your mastery in the physical world. Hello and Welcome to my weekly astrology predictions Star Cast, where I bring you the update on what’s happening in the world of astrology and how you can apply the wisdom to enrich your life here on earth. Monday delivers two exciting planetary aspects – Mercury square Pluto and Venus square Neptune. This combination is really interesting because both are gifts that help us to see through illusion and get to the TRUTH. Mercury is the messenger of astrology, and Mercury square Pluto, makes you cut to the chase without frills and/or funny stories. Just the facts, please. And, Venus square Neptune helps (forces) you to take off the rose colored glasses and see what is really going on (rather than what you may want to believe). As I mentioned last week, Jupiter is moving closer to the earth each day, and on May 8th, Jupiter will be the closest to the earth that it ever gets. Jupiter rises, or appears in the sky in opposition to the Sun; so now, when the sun sets in the west, you will soon see Jupiter appearing in the eastern sky. The opposition is an either-or aspect, and the Sun opposing Jupiter delivers an equitable conclusion. Personally, issues that have torn you apart are rightfully laid to rest now. Universally, we come to a still point, a place of balance before the pendulum embarks on a new, higher round of evolution. Even though he’s closest to earth, Jupiter is still retrograde and this may bring about delays in receiving money. It’s OK, the funds are coming, but accept that there may be delays and don’t get too upset about this because astrology predicts that Jupiter does deliver – even if he’s sometimes delayed. Jupiter will be retrograde until July 10th, two days before the New Moon solar eclipse of July 12th. In Scorpio, Jupiter retrograde teaches integrity and honor. Jupiter is deep in thought now; he’s made his decisions, but not quite yet played his cards. Just wait – the July’s solar eclipse will force Jupiter to spew his secrets and fully reveal his hand. 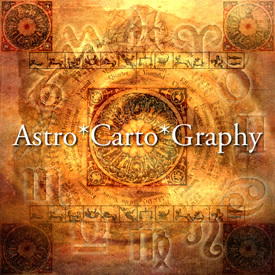 Now is a great time to schedule your personal astrology update! Think of this as a seed time for your prosperity and work behind the scenes and do your work like a farmer preparing the fields for planting. You must pull weeds, fertilize, dig out some of those old rocks, and then, plant your seeds for a new and abundant crop. With the moon is waning from last quarter to the New Moon next week the cosmic calling card says that this is a time for deep preparation. So, think back to our truth telling aspects that start this week out – Venus square Neptune and Mercury square Pluto. We are given the gift of amazing clarity and the wisdom of ways to proceed forward.